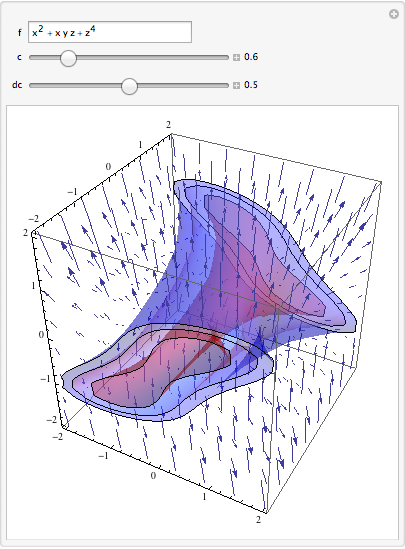 What are the possible ways of visualizing a 4D function in Mathematica? Where $c$,$x$,$y$ and $z$ are reals. There should be many other way to visualize 4d data, but it's really depending on what you want to see and how you want to visualize. 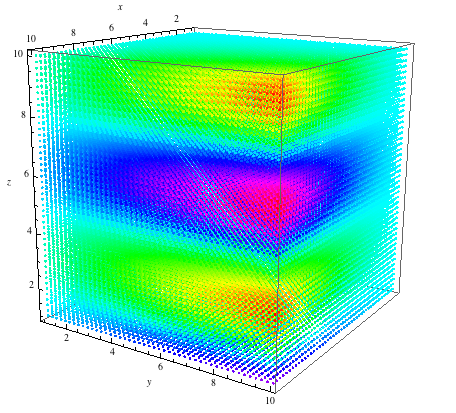 A typical way of visualizing functions of the form $f(x,y,z)$ is in terms of level sets. 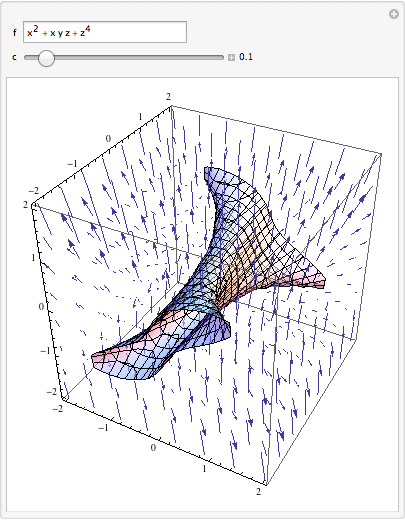 One uses ContourPlot3D in Mathematica. 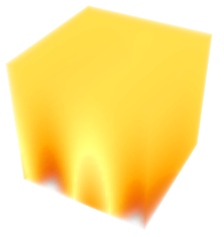 Here I show it in conjunction with the function's gradient field, which may be omitted. You mention in a comment visualizing error. I wasn't sure exactly what you were after, but you can plot contours plus or minus a given error in the value of f fairly easily. Not the answer you're looking for? 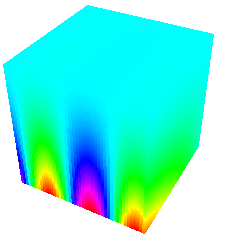 Browse other questions tagged graphics3d plotting or ask your own question. 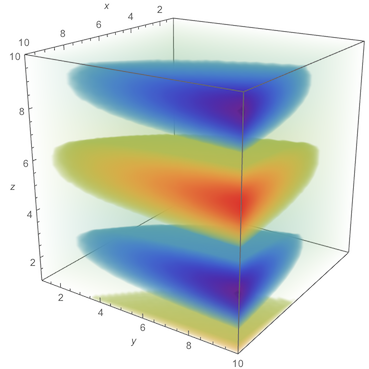 Is there something like DensityPlot3D to visualize atomic orbitals? 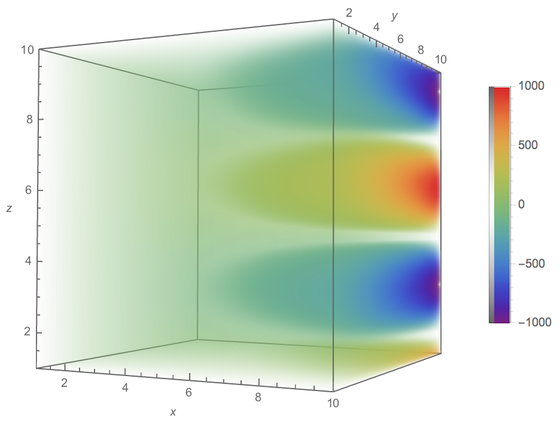 How do I make 4D plot in Mathematica from Excel data with two different graphical representation? How can I access the internal function that plots a molecule from a formatted XYZ file? 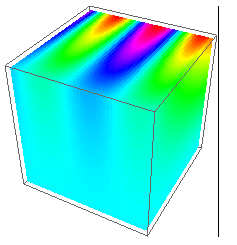 Can someone explain what the primitives and parameters mean in my Graphics3D code? Are there any built-in functions to find the feasible space for a set of constraints? 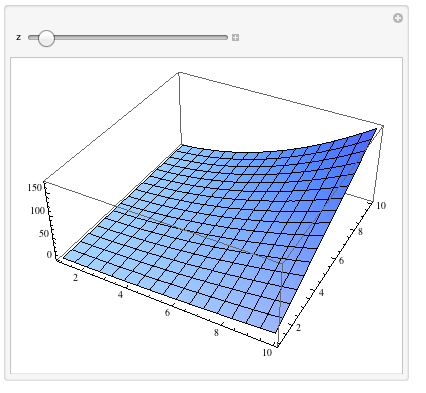 What are the possible Method option values for plotting functions?